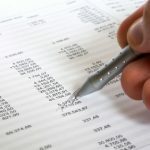 In writing about Roth IRA contribution limits (and how to fix Roth IRA contribution mistakes) over the past week, I came to realize that some readers might not be familiar with the term modified adjusted gross income (MAGI). As it turns out, this is a critical value for determining things like whether or not you are eligible to: (1) contribute to a Roth IRA, (2) deduct traditional IRA contributions, or (3) convert funds from a traditional (or SEP) IRA to a Roth IRA. Thus, it’s important that people understand what it is and how it is calculated. In order to figure out your MAGI you first need to know what your AGI represents. In short, your AGI is your total income (including wages, interest, income from retirement accounts, capital gains, and alimony received) less certain “adjustments.” These adjustments include things like deductible IRA contributions, 401(k) or 403(b) contributions, alimony payments, health insurance premiums (if you’re self-employed), moving expenses, and interest on student loans (consult the IRS web site or a tax professional for a full rundown). Note that AGI does not reflect standard or itemized deductions. Nor does is it influenced by personal exemptions. In order to arrive at your modified AGI, you then need to add back certain things like income that you exluded due to the foreign earned income exclusion, any deductions for foreign housing, interest income for series EE bonds that you may have excluded because you used the proceeds to pay for qualified educational expenses, any deduction that you may have claimed for student loan interest or allowable tuition expenses, employer-paid adoption expenses, and any deduction that you may have claimed for a traditional IRA contribution (note that employer plans, such as 401(k) and 403(b) contributions still reduce your MAGI). Also, if you’re age 70-1/2 and receiving minimum distributions from a traditional, these funds do not count against your MAGI. As a final note, it’s important to keep in mind that funds being converted from a traditional IRA to a Roth IRA do not count against your MAGI even though they may be taxable. Is the SEP deduction on Form 1040 line 38 added back for the MAGI to determine Roth contribution limits? On the ‘MAGI for Roth IRA Purposes IRS’ worksheet it only mentions adding back “Traditional IRA deduction from Form 1040 line 32”. Above in this chain you say IRA/SEP are added back. Why wouldn’t the IRS worksheet mention the line 38 “Self-Employed SEP, SIMPLE and qualified plans in its MAGI worksheet if this is added back? Appreciate help with this. Does capital loses bring down your MAGI, and does realestate taxes reduce the MAGI also? Roth Conversions ARE counted against MAGI. Is the information in the article you posted correct or is it outdated? Download html Pub 590 from IRS.gov; Chapter 2 – Roth IRAs. When I try to download the pdf Pub 590, my computer freezes. Any unconverted IRA distribution adds to MAGI, along with other tax preferences listed in 590. Hi, in general MAGI is higher amount than AGI?. The IRA distributions is counted or discounted for MAGI purpose?. For Mark: If all of the pension money is rolled-over into Roth, no. Any not rolled over would be counted in MAGI. 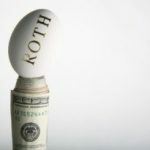 In 2009, you could not convert (roll-over) any approved pension plan money into Roth if MAGI was over 100K. No such restriction in 2010. I want to know if using my public employer voluntary distribution pension money for a down payment would count against MAGI? Is tax exempt income (i.e. from tax free municipal bonds) added back in to calculate MAGI? There was no mandatory minimum required IRA distributions in 2009. However, I did take some money out. I also did a Roth conversion during 2009. I know the conversion amount is not included in my MAGI, but what about the “voluntary” distributions taken. I believe they are excluded from the MAGI. Is this correct? If not, I will have to re characterize the conversion. If I made a withdrawal from my 401K to purchase a home (first time buyer) would that amount qualify as MAGI? you mentioned alimony payments but what about child suport. I live in Kansas and my husband pays 50% of his gross to his exwife. can we deduct what he pays? New subscriber – where would I find your response to questions 5, 6 & 7 from Nov 10,2006 article about MAGI? Do you know how Social Security Disability is handled when computing MAGI? My broker tells me that capital gains are deducted from AGI to get MAGI for $100,000 limit for IRA to Roth conversion. does not sound right to me. It it? Re: MAGI for IRA purpose, if I have a rental loss on line 17 of 1040 and the loss is included in AGI line 37, do I take the loss out of AGI to derive the MAGI? The MAGI for passive activity loss limitation (Form 8582) excludes the rental loss. Is the MAGI calculation for IRA different from the MAGI calculation for passive acitivy loss limitation? Mike: Correct. That’s what I said. Those things get taken out for AGI, and traditional IRA goes back in for MAGI. So yes, an employer plan can be used to reduce MAGI, but a trad/SEP IRA cannot. J: Yes, less than $100k whether or not you’re married. Details in a forthcoming post. Don’t think you’re quite right on how it’s computed. Did a little hunting on the IRS website for the definition of MAGI for Roth IRA contribution eligibility. 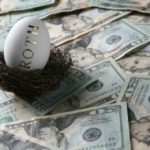 According to it, Traditional IRA contributions are added back in, but it doesn’t mention 401K contributions. So increasing your 401K contributions could increase your eligibility. To convert from a rollover to a Roth you have to be under MAGI of $100k right?